I love Southern California and in particular I love all the small beach towns on the way to San Diego from Los Angeles. They have clean beaches and the water is much warmer than Los Angeles and Ventura beaches. San Juan Capistrano is one of these small beach towns along the Southern California coast. It is small but clean and quiet. Wonderful weather and proximity to the Pacific Ocean make San Juan Capistrano a truly delightful beach town. 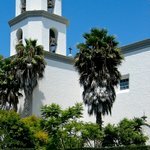 In addition to the clean beaches, San Juan Capistrano boasts one of the twenty seven old California Missions. San Juan Capistrano is a small town in a chain of small beach towns on the way from Los Angeles to San Diego. This chain includes Dana Point and San Clemente for example. It is easy to get to the San Juan Capistrano Mission from the 5 freeway. You just have to exit Ortega Hwy and follow the signs to the Historical San Juan Capistrano Mission. Map of San Juan Capistrano Mission and surrounding areas. Visit the Mission museum. You will get to see old artifacts from the time when the Mission was operational. If you want some authentic Mexican food try Pedro’s Tacos just across the street from the Mission’s entrance. Unfortunately, much of the original buildings of the Mission have been destroyed by a recent fire. However, the San Juan Capistrano Historical Society has invested in renovating the Mission grounds and creating a beautiful garden full of flowers and trees. It is a delight to walk through the Mission courtyard and admire all the flowers. There are some remains of the original walls and other buildings, but a lot of the buildings have been rebuilt. San Juan Capistrano, California – Ruins of an old wall from the San Juan Capistrano Mission. The San Juan Capistrano Mission Museum holds a lot of the old artifacts that were used while the Mission was operational. They have tried to keep the atmosphere of those times by preserving rooms together with their original furniture. We liked our visit to the San Juan Capistrano Mission Museum and we likened it to a small window in time. 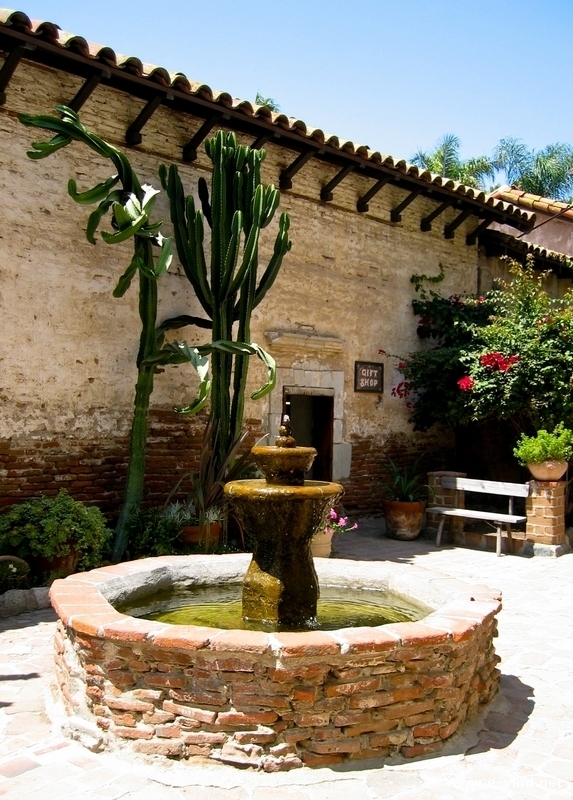 San Juan Capistrano, California – Interior courtyard with an old water fountain and large cacti. Is it worth visiting San Juan Capistrano? We liked our visit to the San Juan Capistrano Mission. It is one of the smaller California Missions, and most of it has been destroyed by fire. However, enough has been preserved to warrant a visit. In addition, the newly planted gardens are simply beautiful. It proved to be a very relaxing visit for us. See the San Juan Capistrano Mission website.